2 Bedroom Upper Floor Flat For Sale in Maidstone for Asking Price £190,000. 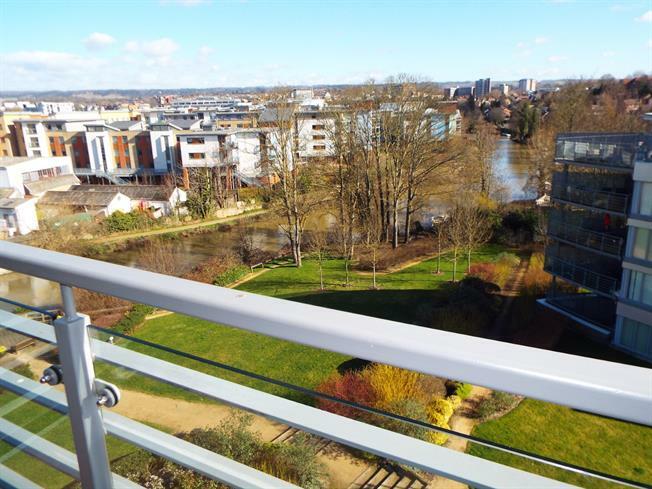 A stunning upper floor apartment with spacious balcony and stunning river views. This modern two bedroom apartment enjoys an en-suite shower room, family bathroom and a spacious and well equipped 19' open plan kitchen/living room. The block has extremely well maintained communal areas, lift, allocated parking space and communal gardens that lead down to the river Medway where you can walk alongside the river all the way into town . We understand that there is a balance of a 125 year lease created in 2007..